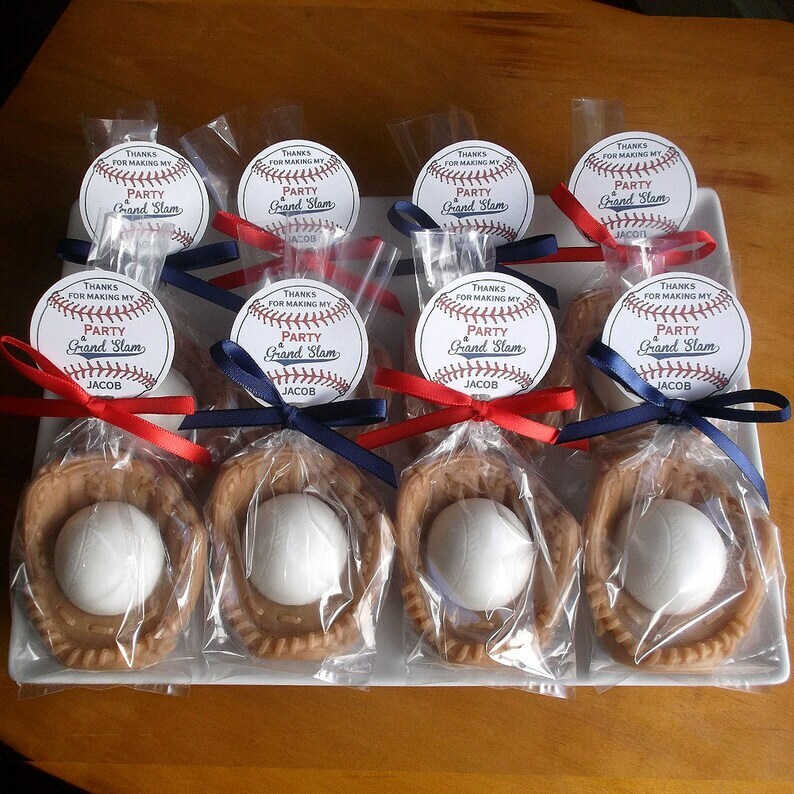 Baseball party favors will surely be a hit at your baseball party, softball party, birthday party, or sports party. Perfect for little league; baseball soap favors are great as a coach gift or as a gift from the parents to the baseball team. Baseball party favors are unique, will add to your party decorations, and are sure to be a hit at your party. Also great for a baseball baby shower. Set of 10. Brown glove with white ball. If you would like a dark brown glove or a pink, blue, or yellow ball, please specify in the "Notes to" section when checking out. 1) Tag choice: see 5th image for tag choices. Text as is on tag. NO TEXT CHANGES. Add name if desired. 3) Your party date to be sure they arrive in plenty of time for your event. Orders without date may be delayed. PERFECT!!! Using these as prizes for a baseball themed baby shower. Very happy with the purchase. Looks just like the picture! Absolutely love these! They smell amazing, and look just like the picture. Absolutely no complaints! They are beautiful, and arrived fast..